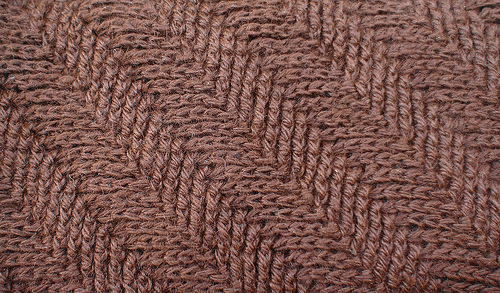 A staggered post stitch pattern creates this simple, sophisticated, warm and thick cowl. This versatile cowl can be worn around the neck, over the shoulders, over the head, or even as a skirt! This is a perfect pattern to keep you cozy as temperatures drop. This is an intermediate level project because of the post stitches, but it is suitable for an adventurous beginner! The finished piece is 18 inches tall and 36 inches around. 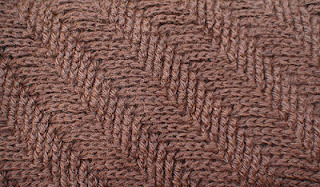 16 post stitches and 13 rows = 4” (10 cm) square. Exact gauge is not critical for this project. For a nearly invisible join, each round starts with a ch 1. To change the circumference, increase or decrease the starting ch in multiples of 6 sts. Ch 144. Being careful not to twist, join with sl st to first ch. Rnd 2: Ch 1, hdc in same st and ea st around. Sl st to first hdc to join. Rnd 3: Ch 1, dc in same st and ea st around. Sl st to first dc to join. Rnd 4: Ch 1, FPdc in same st and next 2 sts. *BPdc in next 3 sts, FPdc in next 3 sts. * Repeat from * to * around to last 3 sts. BPdc in next 3 sts. Sl st to first FPdc to join. Rnd 5: Ch 1, FPdc in same st and next st. *BPdc in next 3 sts, FPdc in next 3 sts. * Repeat from * to * around to last 4 sts. BPdc in next 3 sts, fpdc in last st. Sl st to first FPdc to join. Rnd 6: Ch 1, FPdc in same st. *BPdc in next 3 sts, FPdc in next 3 sts. * Repeat from * to * around to last 5 sts. BPdc in next 3 sts, FPdc in last 2 sts. Sl st to first FPdc to join. Rnd 7: Ch 1, BPdc in same st and next 2 sts. *FPdc in next 3 sts, BPdc in next 3 sts. * Repeat from * to * around to last 3 sts. FPdc in next 3 sts. Sl st to first BPdc to join. Rnd 8: Ch 1, BPdc in same st and next st. *FPdc in next 3 sts, BPdc in next 3 sts. * Repeat from * to * to last 4 sts. FPdc in next 3 sts, BPdc in last st. Sl st to first BPdc to join. Rnd 9: Ch 1, BPdc in same st. *FPdc in next 3 sts, BPdc in next 3 sts. Repeat from * to * to last 5 sts. FPdc in next 3 sts, BPdc in last 2 sts. Rnds 10 - 58: Repeat Rnds 4 through 9 eight more times. Rnds 59 – 62: Repeat Rnds 4 through 6 once more. Rnd 63 – 64: Repeat Rnd 2 twice more. Fasten off. Using yarn needle, weave in ends. Block and shape piece to measure 18 inches wide and 18 inches tall when laid flat. I love the pattern! I'll have to make myself one before I think of making one for others. Thanks for the pattern! Thanks so much! It's really fun to make too.